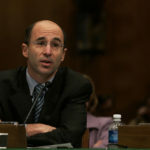 It is deeply troubling/mystifying that the left-wing Anti-Defamation League (“ADL”), ADL chief Jonathan Greenblatt and extremist anti-Israel George Soros-funded J Street issued statements yesterday condemning pro-Israel Fred Fleitz’s appointment as Chief of Staff of the National Security Council (“NSC”). This position of ADL, Jonathan Greenblatt and extremist J Street is harmful to Israel and America. The Council on American Islamic Relations (CAIR), a radical Islamist anti-Israel group and an unindicted co-conspirator in the Holy Land Foundation trial for funneling money to Hamas, also strongly opposed the appointment of this strong supporter of Israel. Mr. Fleitz is a strong supporter of Israel, understands the reality and dangers of the Arab Islamic war against Israel, and is an expert on the Iranian (and North Korean) nuclear threats… It is disturbing that ADL is taking the same wrong, harmful tack as Israel bashers J Street and CAIR. In fact, the Center for Security Policy (CSP) is a highly respected national security organization, headed by Frank Gaffney, who is a former Assistant Secretary of Defense for International Security Policy; former chairman of the High Level Group (NATO’s senior politico-military committee); former Deputy Assistant Secretary of Defense for Nuclear Forces and Arms Control Policy; and a former Senate Armed Services Committee professional staff member. ADL National also issued a press release condemning Fred Fleitz and the Center for Security Policy with similar wrong accusations. Likewise, Soros-funded J Street’s tweet wrongly condemned Fred Fleitz and CSP. Notably, J Street’s tweet cited ADL National as its major source – an indication of the harm stemming from ADL’s harmful and inappropriate position that could be hurtful to Israel and America. “Can we now all agree that @ADL_National is not a Jewish organization but a leftist group and that @JGreenblattADL is not a Jewish leader but a leftist who works for a leftist group? At ZOA, we find it disturbing and revealing that when responding to a strong supporter of Israel and the Jewish people whom ADL claims is critical of radical Muslims, ADL has chosen to take a position sympathetic and beneficial to radical Muslims, rather than sympathetic and beneficial to Jews and the Jewish State. This occurred recently when ADL wrongly criticized pro-Israel pro-American-security Secretary of State Mike Pompeo’s confirmation, pro-Israel Frank Gaffney, and pro-Israel Brigitte Gabriel and her organization Act for America. And now, even though Fred Fleitz is extraordinarily strong on Israel, and on exposing and opposing Iran’s genocidal nuclear ambitions, ADL sides with CAIR and radical Muslims and Soros funded J St – and not with ZOA and pro-Israel, pro-American interests. The ZOA proudly congratulates Fred Fleitz on his appointment as NSC Chief of Staff (COS), and thanks top NSC Adviser Ambassador John Bolton and President Donald Trump for making this outstanding appointment. COS Fleitz is eminently qualified for this post. 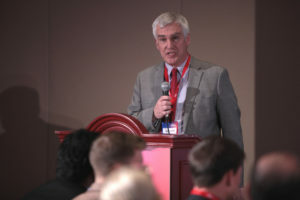 He is a former CIA analyst, Undersecretary of State, Senior Vice President at Center for Security Policy, and expert on the Islamic Republic of Iran’s and North Korea’s nuclear threats to the United States and our allies.